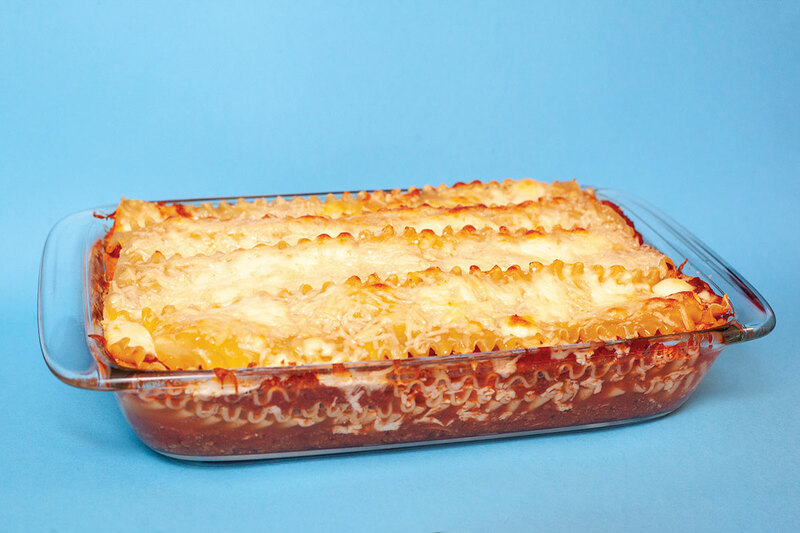 When it comes to comfort food, lasagna is up there with hash browns and orange macaroni salad. 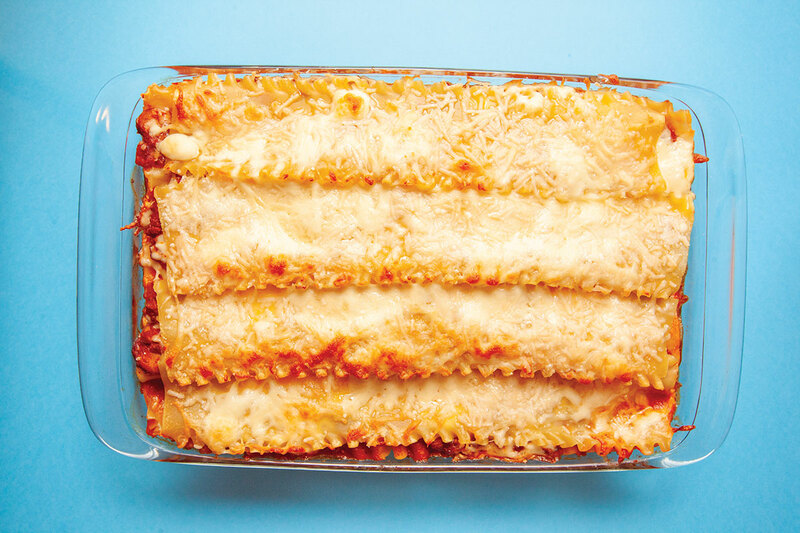 But not just any lasagna—I’m talking Canadian lasagna, packed with layers of noodles, mozzarella cheese, and ground beef. Not everyone is a fan of Canadian lasagna, specifically my Italian in-laws, who often force me to listen to all the ways dishes from their home country have been bastardized by Canadians. (Apparently, pretzel-crust pizza isn’t a thing in Rome.) I suppose there are a few untraditional ingredients Canadians put into their lasagna, like canned mushrooms and, well, cottage cheese, but that doesn’t mean Canadian lasagna isn’t damn tasty. This recipe was submitted by Irene Whitmore to the community cookbook From Our Kitchens . . . With Love, published by the Glen Ayr United Church Women. Irene is listed as the president of the U.C.W. executive, 1976–1978, which I’m guessing is the time frame the book came out. It’s obvious Irene was a woman who got things done. I added two cans of drained mushrooms, because that’s what my mom used to do. 1. Brown onions in oil. Remove onions and add ground beef to pan, browning slightly. Add all the other sauce ingredients and simmer one hour, stirring occasionally. 2. 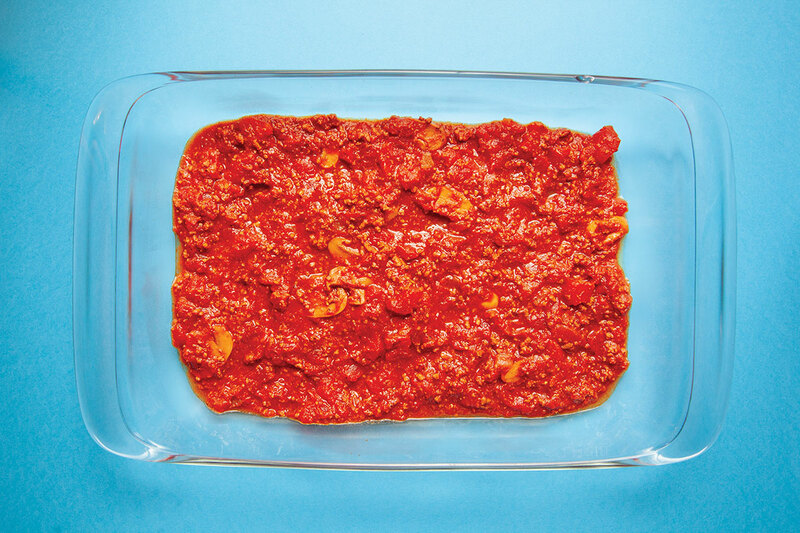 Spread some sauce in the bottom of a nine-by-thirteen-inch pan. 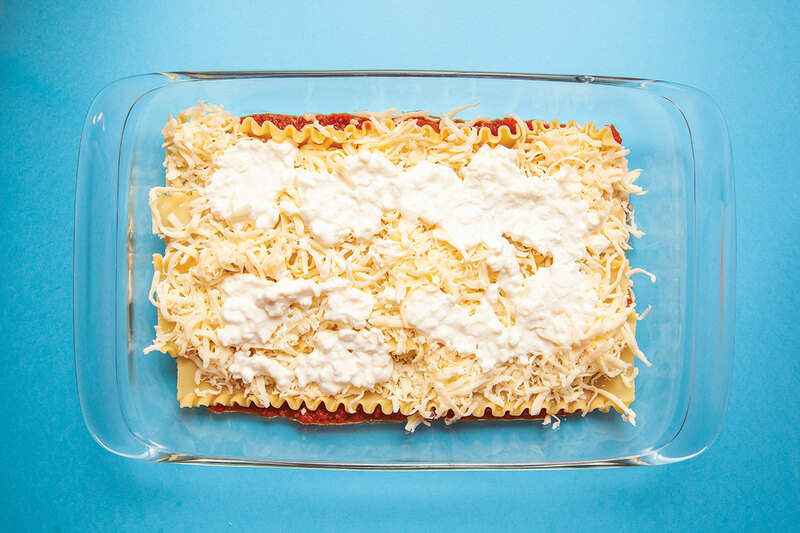 Add a layer of four noodles, followed by a layer of mozzarella and cottage cheese. Add a layer of sauce. Then another layer of noodles. Add a layer of cheese, then sauce, then noodles, then cheese, then . . . well, you get the idea. 3. Top it off with a final layer of mozzarella and the Parmesan cheese, and bake at 350 degrees Fahrenheit for about a half hour, until the cheese is melted and contents are bubbling. Having made this, I have a few bones to pick with Irene. 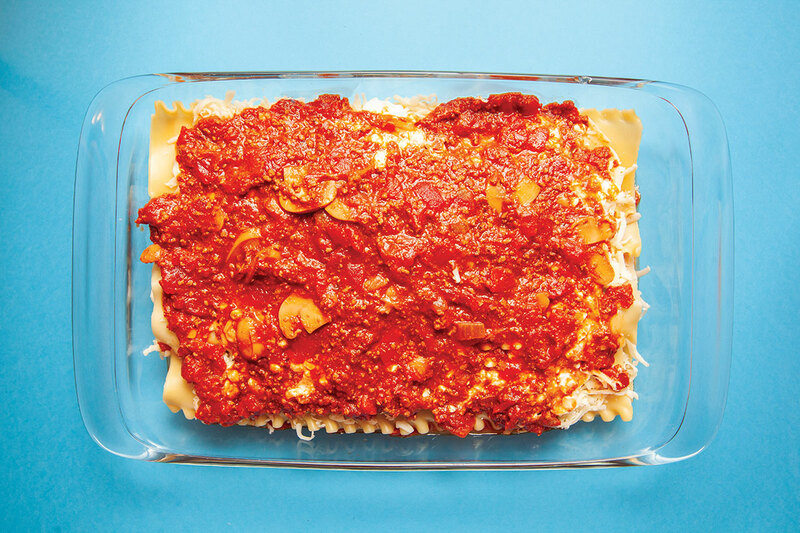 Her so-called Easy Canadian Style Lasagna wasn’t so easy. I started making it at eleven-fifteen in the morning and didn’t pull the damn thing out of the oven until 1:52 p.m. And just try lifting a twenty-pound lasagna. Let’s also not forget assembling those layers requires concentration. I don’t recommend making it if you’re easily distracted or have poor hand-eye co-ordination. Brian Francis is the author of two novels. His most recent, Natural Order, was selected by the Toronto Star, Kobo and the Georgia Straight as a best book of the year. His first novel, Fruit, was a Canada Reads finalist and named one of CBC's one hundred novels that make You proud to be a Canadian. He writes a monthly advice column for Quill and Quire, and is a regular columnist for CBC Radio’s The Next Chapter. Last updated summer, 2018.